Juvenile Ferruginous Hawk /Hawks Aloft Inc.
Ferruginous Hawks often appear to be white from below, especially when they are in flight. Juveniles have white leggings, while adults have rufous leggings. They are found only in the grasslands of the American West. Tony Thomas and Chellye Porter captured this image of a juvenile Ferruginous Hawk at Bosque del Apache NWR the week of December 26. 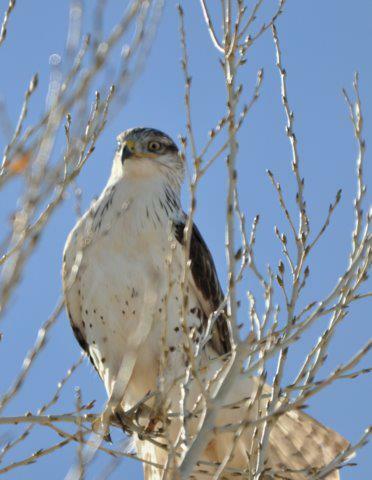 Ferruginous Hawks are notoriously difficult to photograph and we thank them for sharing!